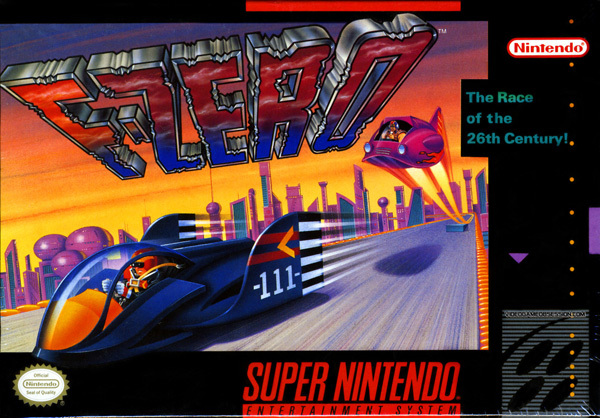 In actuality, F-Zero was the brainchild of Nintendo's EAD studio. It debuted on the Super Nintendo in 1990. 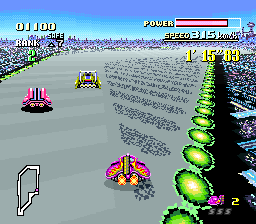 From the outset, F-Zero was notable for its technical prowess -- inventing the mode-7 3rd-person racing genre, creating never-before-felt physics that hugged the line between driving and skating, laying out a palette of vibrant and distinct worlds and machines, giving the SPC sound chip a fair workout, and all the while never compromising on fluid gameplay that flew with such speed it would put Sonic the Hedgehog on edge. However, the developers were evidently not content to simply release a gritty, challenging, technical tour-de-force. 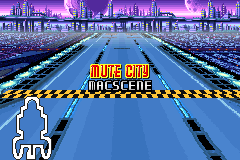 The world of F-Zero has always come with its own story. The tracks aren't just tracks; they're somebody's planets. The machines aren't just machines; they're the competitive face of pilots who themselves have diverse interests, motives, and interconnected histories. 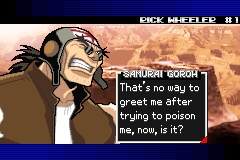 The entire second half of the original F-Zero manual was, in fact, set aside for a comic book shining light on the relationship between various pilots and the sport. Each successive title has built upon this world and history in its own way, while equally maintaining a technical standard that has pushed the limits of the host hardware and, in cases, completely stymied emulator authors' attempts at compatibility and speed. 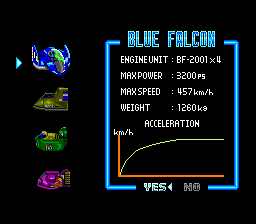 The original SNES F-Zero featured 4 pilots, some dozen tracks, and physics and controls which were, in many cases, brutal to master. Machines were differentiated by weight, top-speed, and acceleration curve, all of which were surprisingly tangible in control response. Tracks included the usual array of racing hazards, from rough zones to dash zones to jumps and the occasional land-mine. Additionally, various surfaces played with vehicles' magnetic levitation/traction, pulling them sideways, downwards, or removing the lateral stabilization that is taken for granted to turn a vehicle with no actual frictional ground-contact. Difficulty generally decreased with practice, but never so much as to not present a challenge (save to a few highly seasoned players). The original SNES release was followed up by a "sequel" for the Bandai Satelliview which did little more than switch out tracks and machines with fresh content. 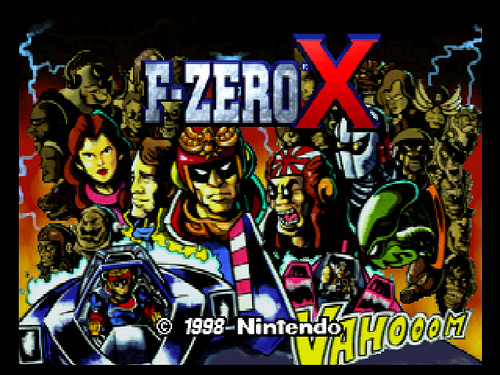 F-Zero X, released in 1998 for the Nintendo 64, expanded the lineup to the current core 30 racers and continued to detail the trials and tribulations of the F-Zero racing world, including a horrific accident that shut the sport down for many years. 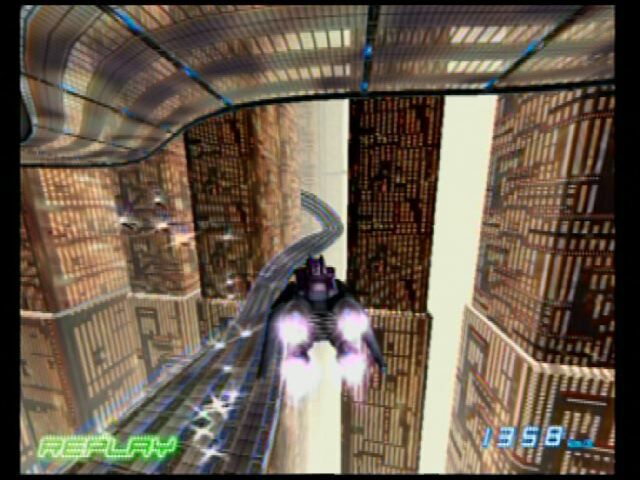 Full 3D tracks pushed the limits of the N64, with all 30 unique vehicles run simultaneously -- unlike in the original games, wherein most AI machines were generic and only tracked so far as they were visible to the player. Speeds remained high, and in defiance of other increasingly weaponized racing titles, the game remained almost solely about driving. A recurring vehicle rating system was also first formalized at this point in the series, and before every race a machine could be tuned for top speed or acceleration. The ratings system consisted of 'body,' a vehicle's weight and durability; 'boost,' a vehicle's acceleration and turbo capacity; and 'grip,' a measure of how well a vehicle 'holds' the track and resists lateral motion. The manual also gave explicit instructions for how to perform tight and drifting turns, and take advantage of flight time (while no machine can truly sustain itself in the air, today practiced racers have found ways to cut gratuitous portions of some courses via well-placed jumps). Two vehicle-motion 'attacks' were in fact implemented -- a slide and a spin -- and one racing mode involved using them to destroy all other vehicles. The limited use of elements such as these was nonetheless in stark contrast to the plethora of items found in the likes of Mario Kart and Wipeout. 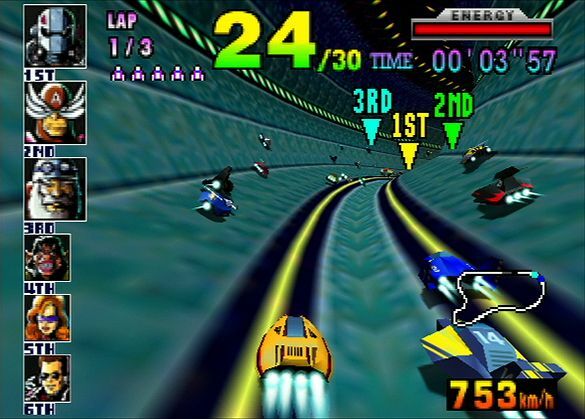 In Japan, F-Zero X was followed by an N64 Disc Drive expansion kit, which allowed certain aspects of the game to be switched out with user content. Rumor has it that the Joker cup random-generated track in the US release is a residual hook for this system. The next Nintendo system to see an F-Zero title was the Gameboy Advance, with F-Zero: Maximum Velocity released in 2001. MV presented an alternate cast and world, 25 years in the future of the original games. Pilots and courses changed drastically, but mechanics and machine specs much more closely resembled the SNES series than N64, although some steering tricks from X still worked. Attacks were not implemented. 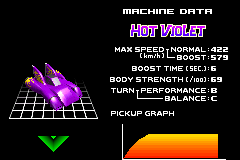 While MV has a total of 10 unique racers to the original's 4, the heats are still padded with generics, and opponents only actually 'drive' when in view of the player, so good strategy often comes down to boosting past vehicles as soon as you see them and not letting the rubber-band AI take you from behind. Based on an anime of the same name, F-Zero GP Legend followed in 2003-2004, with its Japan-only sequel F-Zero Climax released soon after. Both titles bring in most of the cast from the classic canon, plus a selection of new characters from the anime. They are consequently a technological leap from the original games and MV, although both honor the series roots with unlockable versions of the original SNES tracks. Both Legend and Climax include story modes and speed/acceleration tuning, and attempt to build in the attacks from the 3D games, although the implementation is a bit less useful. Climax also offers the first full packed-in track editor in the series, albeit still only in 2D. 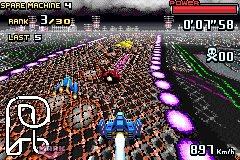 An interoperable pair of games released in 2003, F-Zero GX and F-Zero AX, for Gamecube and arcade respectively, mark the current high point of the 3D series. Once again, all racers go at it at once under independent control, and the AI is a great improvement from the early rubber-band mechanics. The feeling is quite similar to X, but of course all the graphics are shinier (you can even almost see a blurry collection of figures in the reflection off certain vehicles) and speeds have only, to the extent perceivably possible, increased. Memory cards or tickets may be used to save and exchange data between the two versions, with play on the arcade unlocking content on the Gamecube, and play on the Gamecube allowing the import of machines and preferences into the arcade. Non-racing elements have been further downplayed, although attacks still exist, and the racing aspect only continues to get more intricate thanks to a custom machine editor. 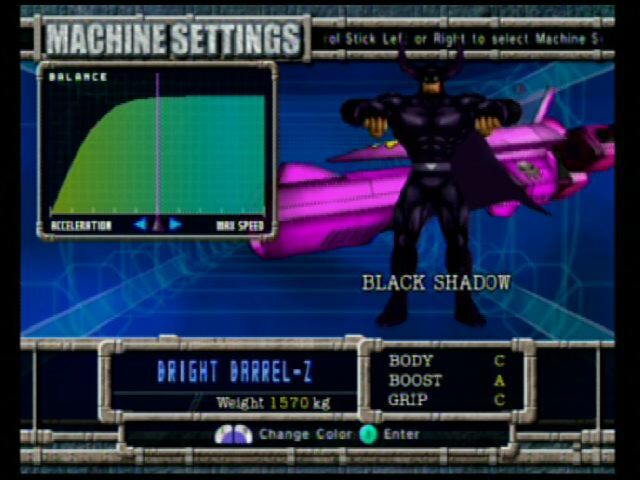 While the physics have only improved throughout, and the story has expanded considerably, even the latest generation of F-Zero retains the same intense throw-your-controller-across-the-room challenge/frustration/reward gameplay together with every other aspect that defined the original. 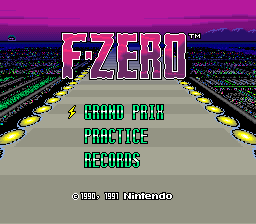 The barrier to entry may be a little high, but as a pure-skill game that can provide hours of entertainment once mastered, and make your friends think you're crazy for even attempting, the F-Zero series delivers almost everywhere in its 20-year history. 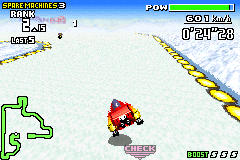 Do you have a favorite entry in the F-Zero series? How does the series hold up against other futuristic racing mainstays Wipeout and Ridge Racer? Tell us your thoughts in the comments below.